Do you homeschool? Do you have a smart phone? Are you addicted to Instagram yet? 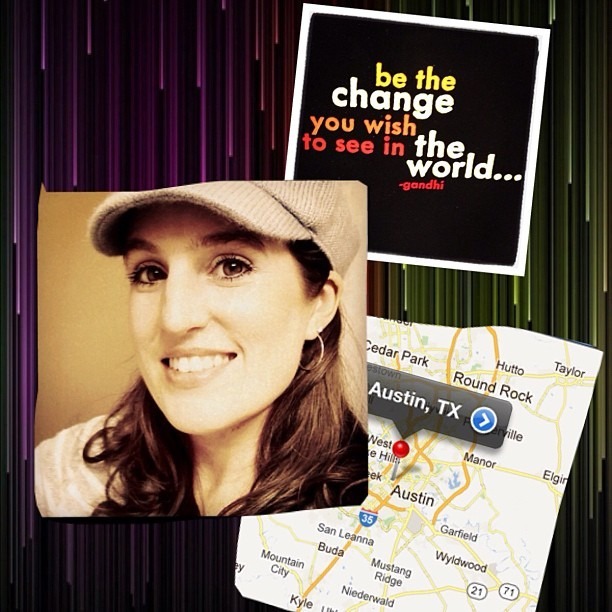 * If you aren’t on IG yet, join us: Download it on your smart phone (it’s free) and play around a little. * If you want to join the fun and challenge yourself to take a photo a day this September, share this post’s url/link and the image above on your blog, Twitter, Pinterest, Facebook Page, and IG account. The more homeschoolers the merrier! Just take a photo along the lines of the theme each day and share them inside the Instagram App. Use the #HSchallenge hashtag in your subject line so your picture will go in to the group pool. Easy peasy! For example: Day 1 (September 1st) is “Organize”. You can take a picture of ANYTHING that is either NOT organized which you are working on organizing… or something that is already organized. You could even take a photo of a book about organizing, or a drawing you drew of a brain with the word “Organize Your Thoughts” written on it. You can be as symbolic and/or creative as you want! This is your project for creating memories of your homeschooling. 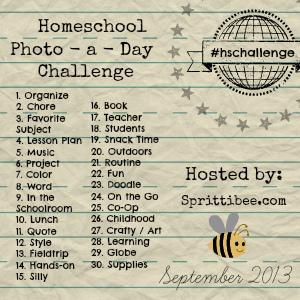 Below are the suggested days for each photo-a-day challenge. If you get behind, that’s OK. Just do two or three in a day and catch up. Do them in as many days as you want. Always tag them with #HSchallenge (not case sensitive) so they will go in to a group pool for everyone to search and find. I can’t wait to showcase some of your awesomeness here on my blog at the mid-point of the month, and again at the end of the month. Try to help me spread the word so we can get as many homeschoolers to participate as we can! This is going to be fun! Remember to tag your photos with the day’s challenge word and the #HSchallenge hashtag. You can just type the number sign before the word and it tags your picture so it is easier for us to search and find. I’m pretty new to Instagram but this sounds like fun. Count me in. My name is goofymommaof3. I love Instagram but need a challenge to remember to take photos! Count me in too. You can find me at barbieswihart!